Originally, the intention of early settlers in the Cornville area intended to name the area Cohnville. But somewhere along the line, signals were crossed and the area became known as Cornville on paperwork from the post office, which was established in 1887. Don’t laugh too much … there is a town in Alaska that settlers wanted to name Ptarmigan, after a common local game bird, but no one knew how to spell it….The town wound up with the name Chicken instead. 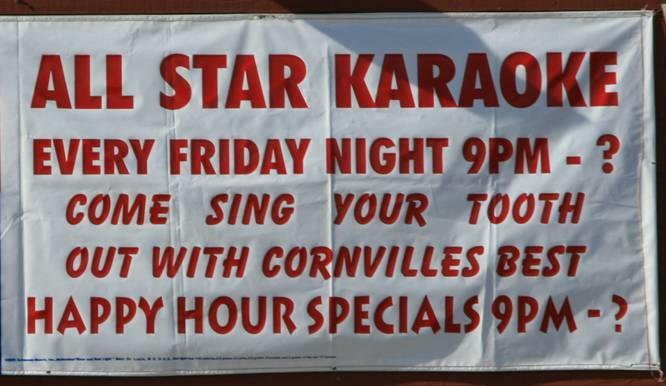 If you ask me, the name Cornville ain’t so bad, considering! Because of the large expanses of rich soils from ancient flood plains of Oak Creek and the Verde River, Cornville has historically been an area of farming and ranching. That tradition is still very much alive in Cornville today. Cornville is where my husband and I live and we love the rich diversity of people who reside in the Cornville area. Here you can sample local wines,...or the local mash from a secret still or two that still operate in the area! Don’t blink while driving through “uptown” or “downtown” Cornville, you’ll miss them completely. Though Cornville does not have much in the way of services, Residents and real estate owners in Cornville and Page Springs enjoy quick access to Sedona, Cottonwood, the Village of Oak Creek and Interstate 17. Services in Cornville include: 6 restaurants, 3 taverns, 2 convenience stores/gas stations, a nursery and hardware store. 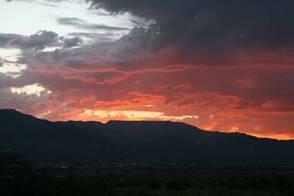 Banking and Grocers can be found in nearby Sedona or Cottonwood. Cornville is actually becoming a bit of a resort location in itself, with the construction of the Verde Santa Fe Golf Course, a multitude of luxury homes and most recently, timeshare accommodations. Cornville is most definitely undergoing what the Wall Street Journal referred to as “The Gentrification of Rural America,” attracting lots of affluent residents who are seeking a slower pace of life far away from urban areas. Additional commercial and residential construction is planned in the Verde Santa Fe area, and projects currently under construction include: Amante at Verde Santa Fe and La Privada. Over 2500 homes are eventually planned for this area. Construction of custom homes continues throughout the area, though at a much slower pace than in recent years. Other available new construction and subdivisions in Cornville include: Mingus Panorama Estates, and Rio Bonito Ranch. Custom home sites and lots are available throughout Cornville, and spec homes on acreage are relatively common in the area. Future projects in the area include DaVinci Mountain Estates. Cornville and Page Springs real estate offerings are incredible diverse, ranging from amazingly affordable, to incredibly exclusive. About 5 years ago, a small manufactured home in Cornville sold for 22,000, while a large 170 acre ranch sold for 2.3 million in the same calendar year. Horses are common residents in the Cornville and Page Springs area, as most parcels in the area are an acre or more in size. Cornville and Page Springs are unincorporated and Yavapai County Zoning Ordinances dictate horse privileges per parcel size. Cornville residents enjoy easy access to all Verde Valley Communities and since the area is completely surrounded by National forest and state lands, outdoor activities are abundant. Many residents enjoy ATVing and four wheeling just a mile or two down the road from their home. 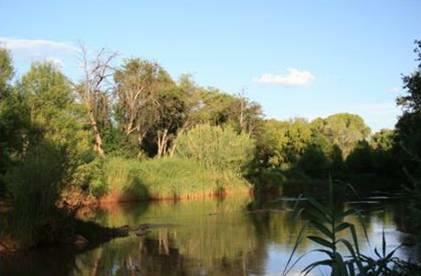 Swimming holes and hiking and riding trails are numerous along Oak Creek. One of the best views in all of the Verde Valley is from the top of House Mountain, which towers over Cornville and provides an incredible 360 degree view of the entire Verde Valley. A growing and popular trend as of late for many former, long time Sedona residents has been to move to a quieter corner of Cornville to escape the hustle and the bustle of Sedona’s busy tourist season, while still retaining the ability to quickly enjoy all the culture and class only Sedona can provide. Cornville is also a wonderful option for those who desire proximity to Sedona, but find the price tags on Sedona real estate a little too steep. Cornville is certain to enjoy steady growth and appreciation over the coming years as real estate in this area is highly desired and Cornville is the closest community to nearby Sedona, and is completely surround by government owned lands. 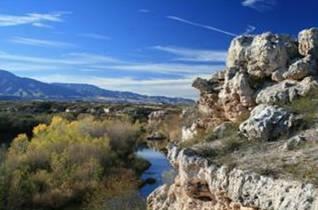 of the Verde River and Oak Creek.